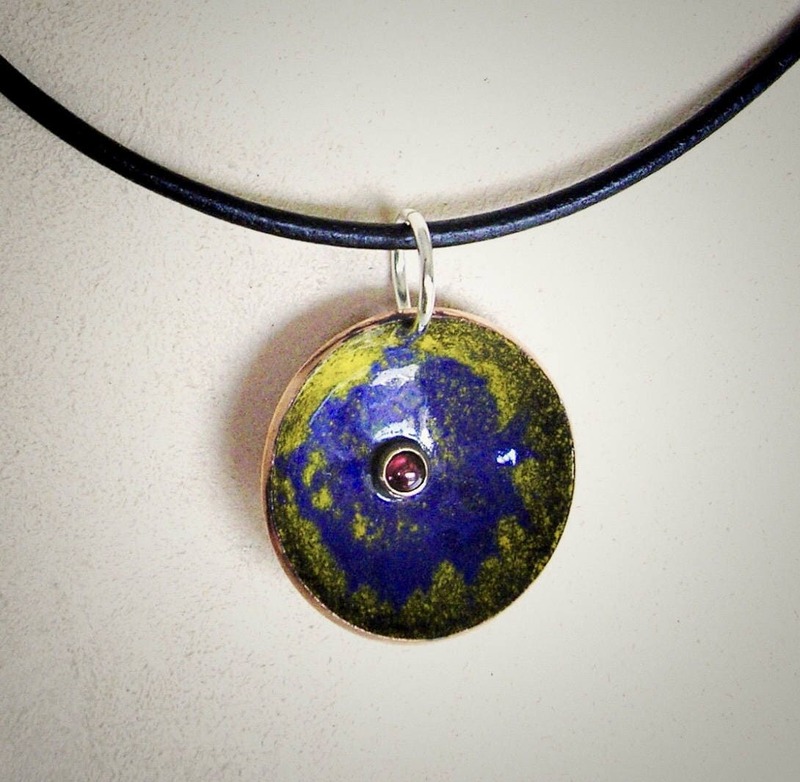 Brightly-colored EnamelArt vitreous enamel on copper necklace features a concave disc measuring approx. 15/16" diameter with vivid yellow and blue enamel. A red garnet cabochon set in 14K bezel is featured in the center. Disc is suspended from a black leather neckcord with Sterling Silver loop.